NEW! 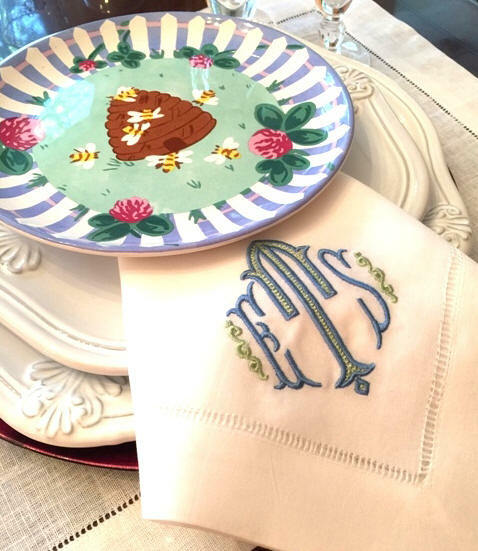 One of our most popular custom monograms is now available on hemstitch linen napkins. Beautiful in 2 colors or all one color! This design dressed up every table setting! Arrives in a gift box with ribbon. Sold in sets of 4. Prices below include the monogram.